(Fort Lauderdale, FL) –Sixth graders from Broward County schools are taking part in Museum on the Move, an innovative new education program presented by NSU Art Museum Fort Lauderdale. The program enhances learning and increases engagement with the arts by involving students in stimulating tours of the museum’s exhibitions and collections, and hands-on art activities based on principles of STEAM (science, technology, art, engineering, math) and 21st Century learning skills. NSU Art Museum’s Museum on the Move program for Broward County Public Schools currently serves 3,000 sixth graders and was recently launched with funds from the Lillian S. Wells Foundation Inc., Jerry Taylor & Nancy Bryant Foundation, The Related Group, Beaux Arts, Community Foundation of Broward, Charles F. and Esther M. Frye Foundation, PNC Foundation and Friends of NSU Art Museum Fort Lauderdale. The Joseph & Winifred Amaturo Foundation, Inc. expanded the program to include Broward County Catholic schools with a generous gift that enables 750 Catholic school sixth graders to participate. 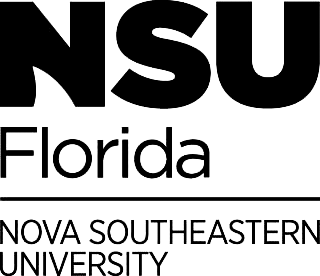 During visits to NSU Art Museum, students participate in visually stimulating educational experiences that for many are often a first introduction to an art museum. Students take part in interactive tours that develop skills such as critical thinking and problem solving, observation, interpretation, communication and teamwork. In-depth discussions explore historical and contemporary subjects and cultures, and concepts such as color, composition, light and space. Through the viewing of artworks, students learn to recognize and distinguish between mediums and materials and formulate their own critical analyses as they learn about the artistic process and how different elements function together to express ideas and emotions, and solve visual dilemmas and realize artists’ intentions. Educators introduce students to visual thinking strategies that encourage them to express their reactions to what they see, and provide a new vocabulary through which they can assess artworks through their own and the artists’ perspectives. Museum-produced educator guides connecting exhibitions to Education Standards are provided to teachers in advance of their students’ visit. Museum on the Move is currently the only program of its kind in Broward County. The program is expected to expand in 2017. For more information or to schedule a tour contact [email protected] or 954-262-0204. Major funding for Museum on the Move is provided by The Joseph & Winifred Amaturo Education Foundation, Inc., Lillian S. Wells Foundation Inc., Jerry Taylor & Nancy Bryant Foundation, The Related Group, Beaux Arts, Community Foundation of Broward, Charles F. and Esther M. Frye Foundation, PNC Foundation, and Friends of NSU Art Museum Fort Lauderdale.